Forum culture is not what it used to be. It’s very different from the way it was back in the 1980s and 1990s. Back then, it was a lot more anonymous and a lot more civilized. It seems like less anonymity would make people behave better, knowing that literally anyone could see their information – their faces even sometimes – and attach it to their behavior. But, it seems like since the days of MySpace (when people were first asked all kinds of invasive personal questions to join a social web site) things have gotten a lot worse online, in general, and in forums, in particular. Now, you might think that a forum dedicated to the subject of something like writing and publishing would be pretty civilized. You’d expect that authors would not want to put their bad, abusive, nutty behavior on display right next to their names, images of their books with links to sales pages, links to their web sites and sometimes even their faces. But, if you ever venture into the Writer’s Cafe at Kboards (formerly called Kindleboards), a site devoted mainly to the Kindle, but with a section for writers called “Writer’s Cafe,” you might be surprised at what goes on. It is a haven for nuts! Every so often they have threads of interests to writers and self-publishers. But, many posters there complain that they are attacked when they post about certain subjects like traditional publishing or copyright infringement. New posters are often treated with less respect than established members of what they call their “community.” Consequently, many new members come and if they are mistreated, they quickly leave and do not come back. Absolute Write Water Cooler (http://www.absolutewrite.com/forums/) This forum is very diverse. When you post here, pay special attention to the different sub-division of forums and keep the discussion within that range of subjects. For instance, do not praise the virtues of independent publishing in the sections devoted to traditional publishing. WritersCafe.org (www.writerscafe.org) This is not the Kboards (Kindleboards) Writer’s Cafe! This site is very good for fiction writers who want to discuss the art of writing, itself. KDP Community Support (https://kdp.amazon.com/community/forumindex.jspa) For those who publish on the Kindle Digital Platform, through your dashboard, you have access to the KDP community. This is a very helpful group, especially when you’re just beginning or if you have any kind of technical or account-related questions. All forums have nuts. Not all forums are as nutty as others. Some are more serious-minded and are the best places to post about a particular subject. The above four have been most beneficial to me, personally. Some nuts are harmless, but some can be dangerous. Even though you may feel safe at home behind your keyboard, forums can present a danger. Therefore, when you use forums, remain anonymous. If you are an author, don’t give details about your business, your location or your books. For example, don’t use your real name, don’t post pictures of yourself or your children, don’t post pictures of your books with links (like you are encouraged to do at Kboards). 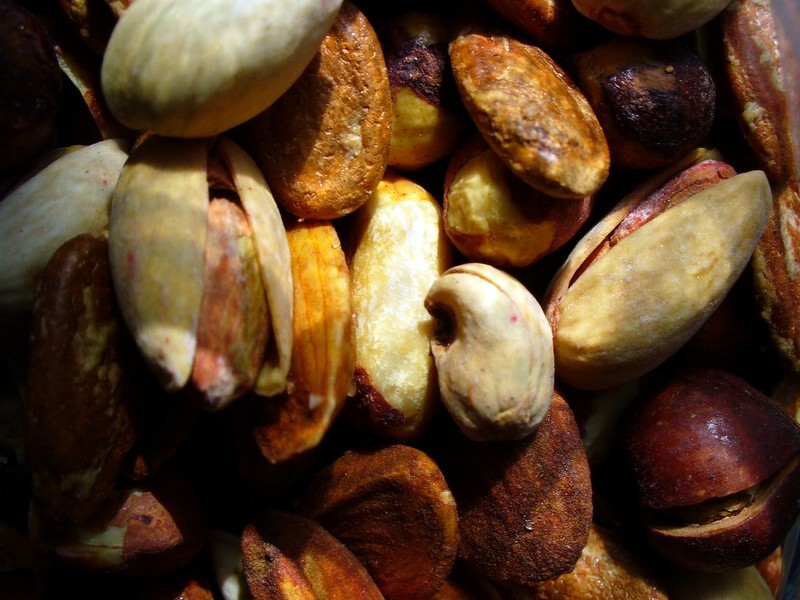 Many people have learned the dangers of nuts in forums the hard way. They’ve been stalked, their sales pages have been trolled and they’ve had a lot of other problems. Simply being there with a picture of yourself (especially if you area woman), could cause you a problem. You can suddenly begin having problems with someone because you posted about something someone else doesn’t like – narcissists see themselves in everything you say and may take offense to something not directed anywhere near them. Then, they may stalk you. If you do not have any personal information about yourself anywhere, they will be limited to stalking you at that forum. Keep in mind that some moderators are nuts, too. And, you never really know who they are. For example, the moderators at the Kboards (Kindleboards) Writer’s Cafe are all volunteers. They’re nobody special and they likely have no special qualifications to be volunteer moderators. Moderators set the tone of a forum, just like managers set the tone at a business. If you have nutty, narcissistic moderators, you may, also, find a collection of nutty, narcissistic posters. If you happen to go to a forum where the moderators are unstable and you sign up using your e-mail address, they may be able to see that information, even if you make it private. If you send private emails to other posters, they can see those. If a forum moderator (at any forum) turns out to be unstable, they have information with which they can stalk you. When you sign up for your forum accounts, do not use your main email account. You can get temporary email accounts at www.hush.com, which will usually work just fine. Again, don’t sign up for an account that contains your name or anything that would help them identify you. Protect yourself. If you look at the Kboards Writer’s Cafe forum link above (it’s a big kerfuffle involving a litany of complaints by posters about behaviors on the forum, including some very disturbing ones), you can see why you might not want to disclose your gender or sexual orientation, especially if it is different from either straight or male. That particular forum has a history of allowing men with sexually aberrant behaviors to remain on the site, despite complaints. This is just an example, of course, these people could be at any forum and you will be safer if you do not disclose gender or sexual orientation at any of them. In fact, there’s really no need for them to know anything about you, ie. marital status, creed, race, nationality, religion, lack thereof, etc. The best thing to do when you go to a forum is ask your question. Thank people if they give you good advice and get out. Avoid the places that are high drama. Most of the people who get involved in the high drama are not going to help you with your writing or publishing efforts. If you find yourself having to “ignore” a lot of posters who are harassing you, be advised that just ignoring some people (for example, narcissists) only makes them more aggressive. So, the “ignore them” advice that you’ll inevitably get if you should have a problem with a nut in a forum doesn’t work. It may work in the short-term, but it won’t’ work for long. Look for the forums that seem to have the most successful people and give you the most benefit.